Raspberry Beret is a boutique that specializes in new and consigned women’s fashion—a go to for modern style, classic vintage, and luxury clothing and accessories. We love labels, and aim to bring high quality fashion to our customers at a fraction of the cost. All of our items are in mint condition and have a unique quality and style. Visit both of our locations in Cambridge and Maynard, MA. This is a nice women's clothing store that sells gently used items for bargain prices. In addition to general clothing, jewelry, and accessories, they have name brand items as well as a few designer items to select from! Very friendly and helpful sales person this evening! This is a great consignment store - I found some awesome stuff in incredible condition. Raspberry Beret is a fantastic store, and my money was well spent there! 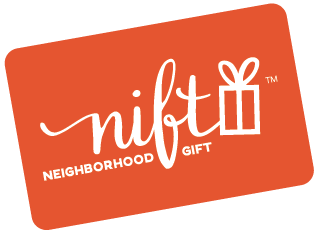 I would definitely recommend continuing this Nift Gift, and would love to receive another Nift Gift to this store! The staff were friendly and helpful. Thank you! The sales people were very nice and there was quite a bit of interesting clothing and accessories to choose from. It was a fun place to have a nift for also! Thanks! My first time visiting and checking out a consignment shop. Very well curated store! Went in because of Nift certificate. Ended up buying a bunch of things - very pleased. Good selection of plus sized clothes (which is rare for a consignment store! ).